Rover likened the Coupé to such magnificent vehicles as the special-bodied Rover Meteors of the early 1930s.” 25 years have proved this statement to be true; the 800, a masterpiece in understatement has improved with age and is fast becoming the thoroughbred classic car to watch as respects collectibility and desirability. 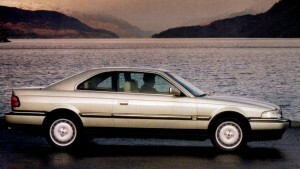 The Coupé was created entirely in-house by Rover designers and although it has a clear family link to the Rover 800 saloon, the two door Coupé has a number of unique style cues which emphasize its exclusive nature. The frameless side windows, the body-coloured screen pillars sweeping into the roof and the rakish rear quarter treatment all contribute to the sophisticated and distinctive persona of the Coupé. The roofline and front wings are tastefully lowered emphasizing the cars overall sleek appearance. Despite this, the Coupés salubrious interior is expansive to say the least, with no compromise on passenger space, legroom and storage. 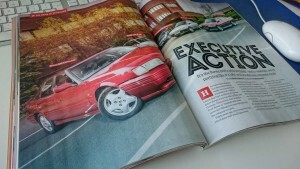 Even by today’s standard, the 800Coupé is a very capable and satisfying car to own and drive. A true British Grand Tourer that is at ease on the beautiful country lanes of the British isles, around the bustling Market Towns and busy Cities. You will find the car to be equally relaxing and comfortable at cruising speeds on the nations motorways. It has been said, the reason German Autobahns have no restriction on speed is to ensure drivers do not have to endure the seats of a European vehicle any longer than is absolutely necessary. Owners of the 800 Coupé will be in no such rush to leave the opulence of their motor vehicles cabin. The sculptured 800Coupé seats are very likely to be the most comfortable you will ever sit in, the climate control perfectly balanced for driver and passenger well-being. 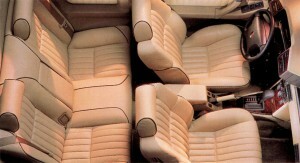 Indeed, the 800 interior is a most agreeable space to be. Whatever version of the 800 Coupé you have selected; the willing performance of the two litre Turbo Vitesse or Sterling, the delightful Rover two point five litre V6 or the powerful two point seven litre 24-Valve engine ownership of an 800 Coupé is rewarding and exciting. 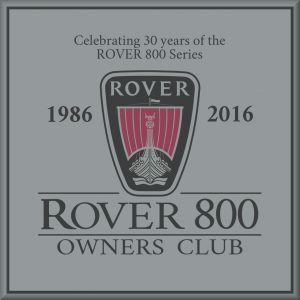 The Rover 800 Owners Club, would like to invite you to this years ‘The BMC & Leyland Show’ event, at the British Motor Museum at Gaydon, Warwickshire. It would be great if you’re able to make it. As with previous years, we will have a stand at the show, which you’re more than welcome to come and park your 800 on – wether or not you are a club member. last year we had 29 Rover 800s attend – possibly the first time so many have been at one location since production ceased! Discounted tickets to the show are available from the Museum’s website and applications for individual cars for exhibition at the show need to be submitted before the 26th June 17. NB. Exhibitor’s car need to be on the stand by 10am, there is a concession for vehicles attending convoys to come in slightly later. 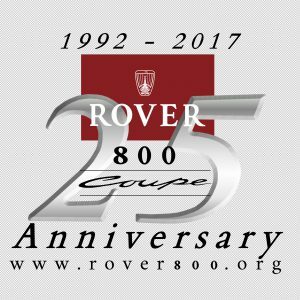 2017 marks the 50th anniversary of Rover launching the V8 engine. 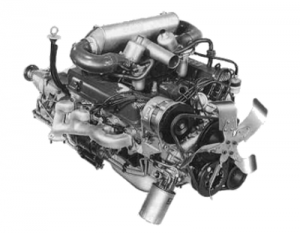 This engine was developed as the power plant for the Rover P5 which gained the B suffix indicating the engines origins from Buick. The engine was subsequently installed into the Rover P6, SD1, Range Rover and Land Rovers. During its lifetime it appeared in other non–Rover marques such as the MGBGT V8, TVR, and Morgan. 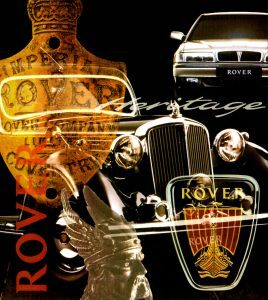 In celebration of this engine, the Joint Rover Clubs of Great Britain, consisting of the Rover Sports Register, The Rover P4 Drivers Guild, The P5 Club, The Rover P6 Club, The SD1 Club, The Rover 200/400 Club, The Rover Coupe Owners Club, The Rover 75 and MG ZT owners club and Rover 800 Club will be joining forces to stage one big celebratory “Rover Fest” weekend in August 2017. Although our cars were not fitted with a V8 be assured of a great day. 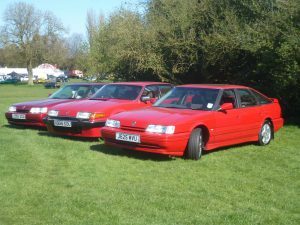 The Rover 800 Owners Club, would like to invite you to this years ‘Pride of Longbridge’ event, at Cofton Park. It would be great if you’re able to make it. 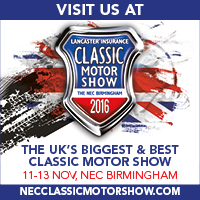 As with previous years, we will have an informal stand at the show, which you’re more than welcome to come and park your 800, on. If you’re not bringing your 800, parking is available on the road running alongside the park, pop on over and say hello! Once again, we have two routes. The scenic one which takes our usual route of Woodstock, Chipping Norton, Moreton in Marsh, Broadway etc, and also a motorway route were we join the M40 at junction 9 (Bicester). The scenic route will leave at 8.00am and the motorway route at 8.30am. As usual, the Cowley Convoy is completely free to join and we have don’t have a cut off date for entries; you can even just turn up on the day. However, it is helpful for us to have a rough idea of how many people and cars are going to join us, so please do register. We will also have entirely optional run plaques and car flags for sale at cost price, but please feel free to bring your own flags etc. Run plaques cost £5 and car flags are £8. The cut off date to order both run plaques and flags is Sunday 2nd April. The Cowley Convoy is open to all cars which are eligible to attend the Pride of Longbridge, so in short any car built at Longbridge, any car built at Cowley up to 2000 (so the end of Rover 75 production at Cowley), and cars built under BMC, BL, ARG, RG or MG-R. 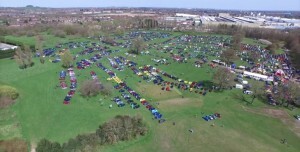 If you want to come as a club, please let us know in advance and also tell the marshals at Cowley so that we can make sure that you get parked together and are set off together. We will have free tea, coffee and biscuits at MINI Plant Oxford, Cowley, and also toilets. We would recommend you take advantage of the toilets at Cowley because with several thousand people arriving at Cofton Park at the same time, there is inevitably a long queue for the toilet! Please remember that all the marshals are volunteers and please do as they ask. This is particularly relevant in Cofton Park, and do expect to queue at the Longbridge end – there will be a lot of cars to park up! We have a limited of this excellent book, by renowned expert in his field, James Taylor. The book normally retails for £25, but, we are able to offer a couple of copies, for the exclusive rate of £18 inc P&P (800 Owners Club members Only), non members can still enjoy a healthy discounted rate of £20 inc P&P. If there is enough interest, we can see about obtaining more copies, to be offered out at this exclusive to members price or £20 for non members. 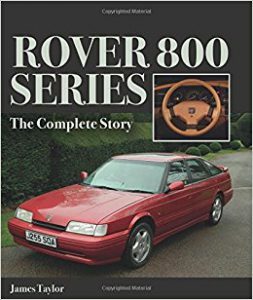 This year, marks the 30th anniversary of the Rover 800 series. The car was launched on July 10th, 1986. We have managed to secure a place at the Leyland/BMC show, at the British Motor Museum, on July 3rd 2016, starting at 10 am. If you wish to display your vehicle and attend the show, there is a form that needs to be completed, and returned to the Museum, details can be found below. Closing date for entries is 27th June 2016. Exhibitors wristbands: must be worn at all times, please put them on before you enter the show – this will speed your entry. Vehicle Passes: Please display at all times. See Pass for display instructions. On arrival at the centre, please proceed alonng the main entrance road until you reach the roundabout where you will be directed acordingly. Please ensure your pass is clearly visible in the window of your vehicle. The Visitor Centre at T Building at MINI Plant Oxford will be open between 10.00am and 4.00pm for Drive It Day and to celebrate the Rover SD1’s 40 th and Rover 800’s 30th. There is ample parking outside for everyone. This is for everyone, classic car owners and local people. Past and present Cowley workers are particularly welcome. Classic vehicles of all descriptions are welcome, not just Cowley related ones. This is free for all to attend. 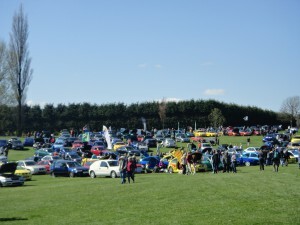 Classic car owners are very welcome to drop by as part of Drive It Day and have a cuppa. There will be free refreshments for all, and there will be a donation box for Whizz Kids, MINI Plant Oxford’s charity, for those who would like to make a small donation. As we are c…elebrating the Rover SD1’s 40th & Rover 800’s 30th birthdays, we will also be having cake! To get to MINI Plant Oxford, please use postcode OX4 6NL, but also put in Pony Road or Horspath Road or it will take you to the wrong end of the site. I can be contacted at tanyafield@supanet.com or on 07929 868284, should you have any questions. Due to the awful weather coupled with the ground conditions at Cofton Park, Pride Of Longbridge organizers have cancelled todays events. Whilst the Rover 800 is celebrating its 30th year in 2016, Pride Of Longbridge is celebrating its 10th year. Why not bring along your 800 series car and join us at one of the calendars biggest events. OUT NOW: Modern Classics issue 3, featuring Tanya Fields superb Rover Tickford Turbo Fastback. Pick up your copy from WH Smith. Alternatively, click on the photo to the right to order your copy online (external link) . It’s still just £3.99 too!